Dramatic and evocative, the Tor dominates the Somerset Levels and offers spectacular views as well as boasting a rich and intriguing history. 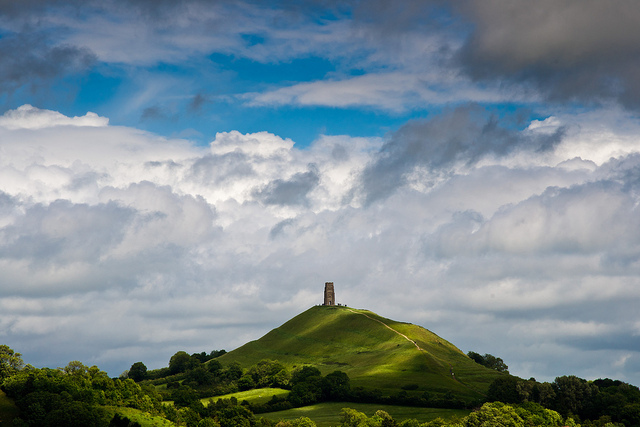 The home of Gwyn ap Nudd, King of the Fairies (but managed in the human realm by the National Trust), Glastonbury Tor is a mythical place overlooking the Isle of Avalon, Glastonbury and Somerset, and offering fantastic views of the Somerset Levels, Dorset, Wiltshire and Wales. The iconic 15th-century tower dominates the landscape and hints to the sites legendary past. Well worth a visit but be prepared for steep climb to the top!